The 43,000 members in the International Alliance of Theatrical Stage Employees, Moving Picture Technicians, Artists and Allied Crafts’ 13 West Coast Studio Local Unions ratified a new Producer-IATSE Basic Agreement with the AMPTP. 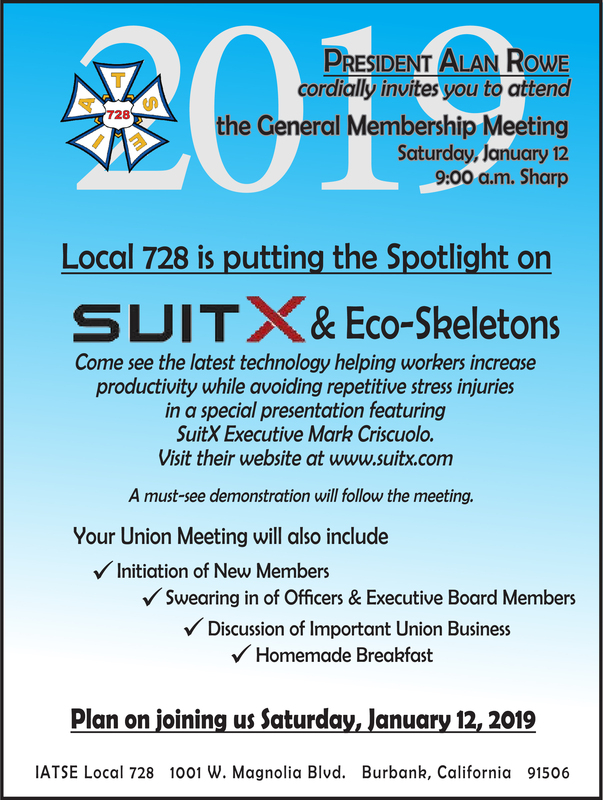 Are you a Local 728 member in good standing whose son or daughter is a high school senior who plans on heading off to a technical school or college next year? Click this link 21th Annual Scholarship App 2018-2019 Fill In.pdf to download the application for the 21st annual Local 728 scholarship fund.